Two of these new smartphone tablet mixes have now been introduced in China. It is the Zenithink ZTPad N6 with a 6-inch display, as well as to the Actwell N7300 with a 5.7-inch display. The latter appears, clearly recognizable as a clone of the Samsung Galaxy Note . Both devices have not too high display resolution. The Zenithink ZTPad N6 is the first 6-inch device from the house of the Chinese manufacturer. This is driven by a MediaTek MT6577 Phablet processor based on ARM Cortex A9. The dual core processor in this case has a clock speed of 1 GHz. Is a disappointment in this Smartlet certainly the display resolution. 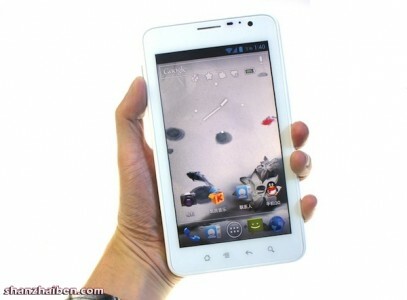 While currently namely the trend of Smartlets to Full HD display is the Zenithink ZTPad N6 trips at just 800 x 480 pixels. Likewise, the more equipment is then rather than smartphone tablet. So 1 GB of RAM and 8 GB of flash memory on board are (+ microSD card). The camera on the back triggers the China Phablet with 5 megapixels, while the cam is a simple VGA camera on the front. The operating system is Android 4.0.4 of the party. Also suitable for Zenithink ZTPad N6 GPS, Bluetooth, Wi-Fi, microUSB and microHDMI used. It is still unclear what the cost Smartlet. According to rumors, the price but less than 200 euros. 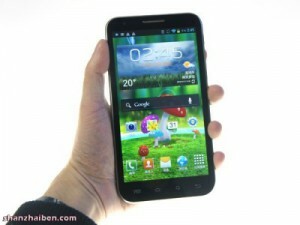 The second new Smartlet from China, the Actwell N7300 has also built a rather disappointing display. Although this is 5.7 inches in size, but the resolution is also "only" 1,280 x 720 pixels. The mere sight of the device shows that it is a clone of this device is the Samsung Galaxy Note. Since the instrument is equipped with the device designation N7300, this impression is reinforced. Technically, however, the Actwell N7300 is not to settle in the regions of the model from South Korea. The N7300 has Actwell namely how well the Zenithink-Smartlet about the dual core processor MediaTek MT6577 as a drive, not a quad-core chip. The Cortex A9 chip with 1 GHz clock speed falls back to a PowerVR SGX531 GPU. In addition, 1 GB RAM and only 4 GB of internal memory are installed (+ microSD card). Furthermore, two cameras with 1.3 and 8 megapixels in Actwell N7300 are built. The operating system is Android 4.1.1 Jelly Bean already on board, while the battery with 3,200 mAh is even more powerful than the Galaxy Note. In addition, the N7300 Actwell using GPS, WLAN and Bluetooth. Likewise, this Phablet be used with two SIM cards at the same time. Again, there is no price announcement.